Champlain’s compatriots never considered him to be a writer. Marc Lescarbot, a contemporary, grudgingly described Champlain as "an excellent geographer." In 1616, Champlain gave up exploring to concentrate on his work as the viceroy’s lieutenant. While in this position, Champlain produced what is now considered to be his best work. Champlain’s map of New France sums up all his work, and is now deemed all the more important since he died shortly after completing it. The map shows North America from the northern regions to Virginia, from Newfoundland to Lake Superior. It includes much of the information Champlain gathered during his expeditions along the Ottawa River (1613), and as far as lakes Nipissing and Huron (1615). Description of the coasts, ports, roads and islands of New France made in relation to its true meridian with the magnetic variation of several places depending on whether the Sieur de Castes le franc [Castelfranc] shows it in his book on compass calculations made and observed by the Sieur de Champlain. 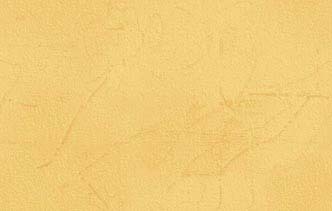 1607. Manuscript map showing Acadia from la Hève to the south of Cape Cod, held by the Library of Congress in Washington, first published by Biggar, portfolio, plate LXXX. Geographic map of New France made by the Sieur de Champlain Saint Tongois (Saintongeois) captain for the king and the navy. Made in 1612. Published in the Voyages of 1613, reproduced in Laverdière, Oeuvres, vol. III, p. 326 and in Biggar, portfolio, plate LXXXI. Map of New France, from Newfoundland to the Great Lakes and from lac Saint-Jean to Cape Cod, with the first mention of Montréal, illustrated with specimens of the flora of Canada, and Montagnais and Almouchiquois couples. Geographic map of New France on its true meridian. Published with the first print run of the Voyages of 1613. Reproduced in Laverdière, Oeuvres, vol. III, p. 274 and in Biggar, portfolio. 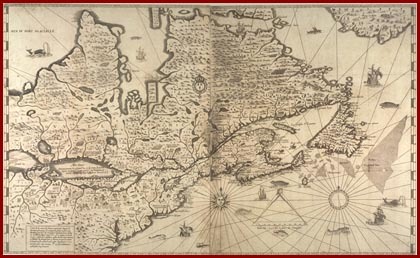 Map showing the continent from Hudson Strait to Cape Cod, and from Newfoundland to the Great Lakes, incorporating the information from the English map of 1610 with no detail of the Ottawa River. Geographic map of New France on its true meridian. Published with the second print run of the Voyages of 1613. Reproduced in Laverdière, Oeuvres, vol. III, p. 274 and in Biggar, portfolio. Revised version of the previous map with an outline of the Ottawa River. General map published after Champlain’s death, no legend, [c. 1616]. Only copy (proof) acquired in 1953 by the John Carter Brown Library, Providence, Rhode Island. Reproduced by the Champlain Society and published in the edition of Biggar’s portfolio. This map adds to the maps of 1612 and 1613 the elements obtained during the war in Iroquoian territory and the explorations carried out from the fall of 1615 to the spring of 1616. The map was updated after Champlain’s death and published in 1653 by cartographer Pierre du Val (Jean Glénisson, La France d’Amérique. Voyages de Samuel Champlain 1604-1629, Paris: Imprimerie nationale, 1994, p. 362). Map of New France, augmented since the last one, for use in navigation, made on its true meridian by the Sieur de Champlain, king’s captain in the navy, who, from 1603 to 1629, discovered several coasts, lands, lakes, rivers and nations of savages until then unknown, as can be seen in the accounts he had published in 1632. This mark (IB) indicates French settlements.. Published for the first time with the Voyages of 1632, this map shows North America from Baffin Land to Virginia and from Newfoundland to Lake Superior. Reproduced in Laverdière, Oeuvres, vol. IV (at the end of the volume) and in Biggar’s portfolio.